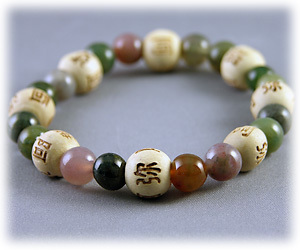 This beautiful bracelet was created from genuine Agate and Wooden Karma beads. Wear these beads always and your life can overflow with unexpected miracles and everything you desire can come your way. Comes with an attached card with the above text.